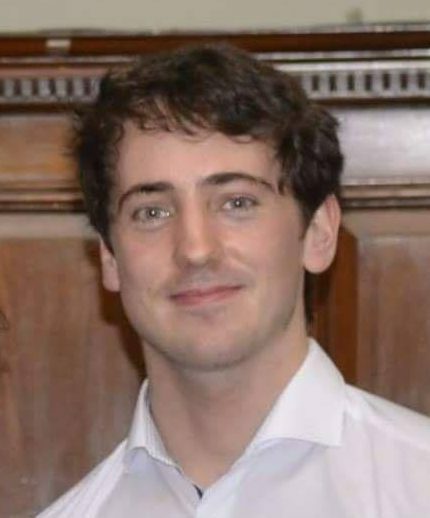 Post by Jack Dunne, Student Ambassador at National University of Ireland (NUI), Galway who has completed an elective exchange at Universidad CES Escuela de Medicina. I wanted to explore my interests in trauma medicine. Ireland lacks trauma as a specialty, so an elective abroad offered me the only opportunity to experience it. I looked for a location that offered this practical experience but also one that offered cultural and travel opportunities. I read positive reports on Colombian hospital electives. The reports detailed a practical and intensive environment, where the standout point for students was that it had been very rewarding. 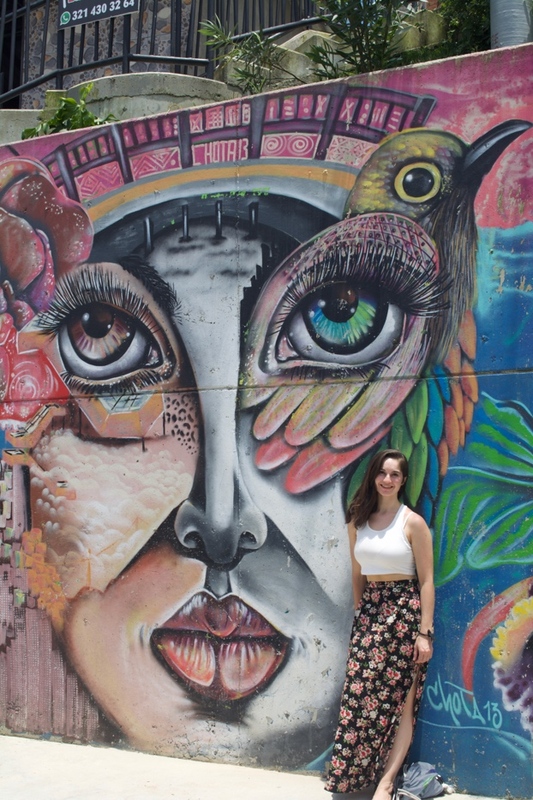 I chose Medellin simply based on the many positive touristy accounts I heard of it. I Google searched Universities in Medellin and found various websites and email addresses. I came across CES Universidad and the organizer there was very prompt and helpful in her replies. I then noticed it was a GEMx University, so I made my application through the GEMx portal, rather than through the CES portal, and this saved me the cost of fees. Winning straight off the bat! Overall, the application procedure was very straightforward, I just needed the usual documents (letter of recommendation, grade transcripts etc). CES Universidad is a small private university in Medellin, based in the leafy ‘El Poblado’ suburb. On the CES University application page on the GEMx website, you have 2 hospital options for each specialty available, CES Clinica or a General Hospital. I chose CES Clinica, just on the flip of a coin, and can only comment on that. I was very happy with CES Universidad. The programme was run professionally; I had an orientation before beginning and was also brought on a guided graffiti tour with other exchange students. The hospital knew I was coming was used to taking foreign students and had preassigned me to a doctor. I initially assumed I would be placed in Clinica CES, a hospital close to the city centre of Medellin, however there all multiple ‘Clinica’s’ for medical students across the city and I ended up in a hospital called Clinica Del Norte. The hospital was actually in Bello, a suburb of Medellin. It’s a private hospital and has various different specialties and 4 theatres. 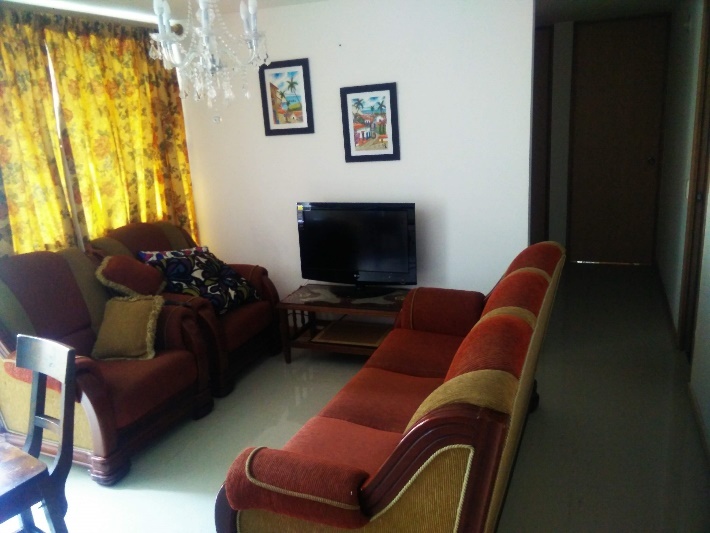 It’s close to a busy commercial centre and the public metro station, Niquia. 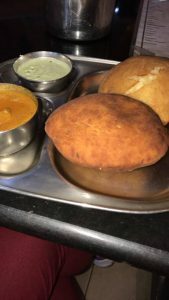 It’s hard to judge an area you’ve never been to, halfway across the world, so I decided to figure out accommodation once I arrived, had spoken to people, and could ‘feel out’ the place. Don’t stay in a hostel if you’re doing clinical rotations (as I considered), that’s the 1st piece of advice. Colombians I asked said accommodation is advertised either on Facebook or through the grapevine. Hence, there’s only Airbnb available if you’re looking for a short-term rental. There’s tons of availability though. No tourists stay in Bello so every Airbnb was available for however long I wanted to stay. My advice would be to find accommodation for the 1st few days and then revaluate. I actually got lucky in that I had an Airbnb for 3 days, then met someone with a room to rent out and got a great deal, close to the hospital. In Bello, Airbnb might set you back €12 a night, while finding local rent generally goes for $400,000-$500,000pesos (€115-€140) a month. 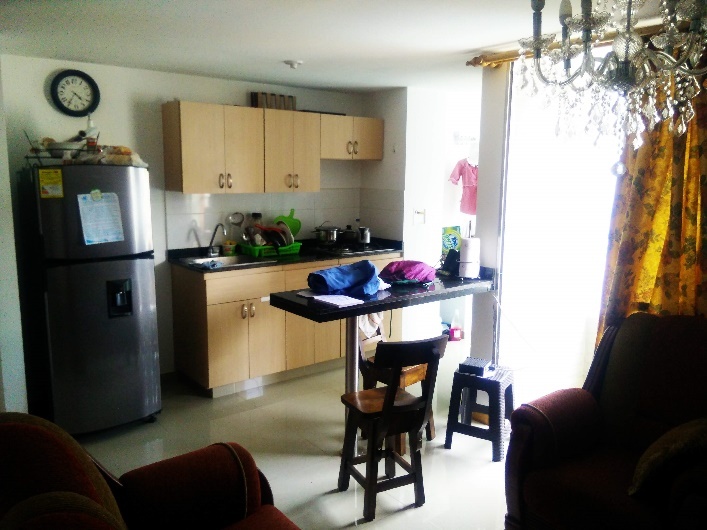 Closer to Medellin city centre, however, the rent can be much higher: $600,000-$800,000pesos. Traumatology, in this case, was essentially an orthopaedic doctor based in the Emergency Department. In Ireland, orthopaedic doctors would be on call and required to come down to the Emergency Department. But there are so many orthopaedic cases in some hospitals, it’s far more efficient just to station an orthopaedic doctor there. Clinica Del Norte is a private hospital for patients with good insurance, and this really dictates the patient cases that walk through the hospital doors. The vast majority of patients I saw were involved in low speed, minor trauma, motorcycle accidents. Know your bone anatomy of the upper and lower limbs as they’ll be your bread and butter for the 4 weeks. Though there were some polytrauma/major trauma cases, such as pelvic fractures and cranial fractures which I got to view/assist in. As I was based in the Emergency Department, I got to view/assist in many other cases, for example, a resuscitation case and a patient with a ventricular tachycardia. If you want to see big trauma, with gunshots and stab wounds, all the Hollywood gore of very sick patients, going to a public hospital is what you need to sign up to, according to the staff in CDN. There is something to be said though for the less hectic, private hospital clinical rotation, especially when you don’t speak fluent Spanish. The big piece of advice I’d give is don’t come over without knowing how to put on sterile gloves, wash your hands, and scrub in (your sterile techniques, essentially). I was most taken aback by the attitudes of the doctors and nurses towards medical students getting involved. I was never turned away from doing a procedure and was actively encouraged to try my hand wherever an opportunity presented itself. The staff was happy to teach the procedure and to patiently guide me through it. 7 am: starts and finishing at 6 pm most days, Monday to Friday. Weekends off for Orthopaedic students, not for emergency medicine students. 7 am: Reviewing the cases with students and doctors. Received teaching throughout the cases. 9 am: Go see the patients and do any of the tasks e.g. casts. 10 am: Teaching on a specific topic. 11 am: Go see patients on the wards/do any practical tasks/write up patient notes. 1pm-6pm: Based in the Emergency Department and seeing patients that came in/writing up notes. I expressed my interest to see orthopaedic surgery, and one of the students mentioned it to the doctor who then happily brought me along to theatre with him, making me feel very welcome. I got to scrub in, assist and close on all the operations they performed. The consultant would then struggle with his English to teach me what was happening in the surgery, which I really appreciated. I got to see rotator cuff repairs, internal fixation of the tibia and LCA repairs. The Colombian students on the placement were lovely and helped me a great deal both with my medical knowledge and with my struggling Spanish. I was also lucky in having another native English-speaking student from New Zealand there. CES Universidad doesn’t require a Spanish competency certificate, however, this may change after my stint there. I would advise practicing your Spanish as soon as you make the decision to go to Colombia. It would take a high B1/B2 level in order to work competently and at least somewhat independently in the hospital. Orthopaedics, however, is an ideal rotation for those with less Spanish ability. You need far less medical Spanish, and the nuances of a medical history aren’t as relevant. Learn lots of medical Spanish and improve your all-round conversing Spanish. How to type up a history in Spanish. I was fairly wrecked by the time the weekends rolled around, and I imagine you will be too. Probably best not to plan your weekends down to a T, to try and cram in as much culture as 48hours allows. I’d recommend allowing time to travel before or after for a couple of weeks. I arrived in Colombia early and did my traveling in the 4 weeks before I started in the hospital. There are tons to do, and it would be disappointing to leave without thinking you made a least a decent crack at ticking off the touristy stuff. 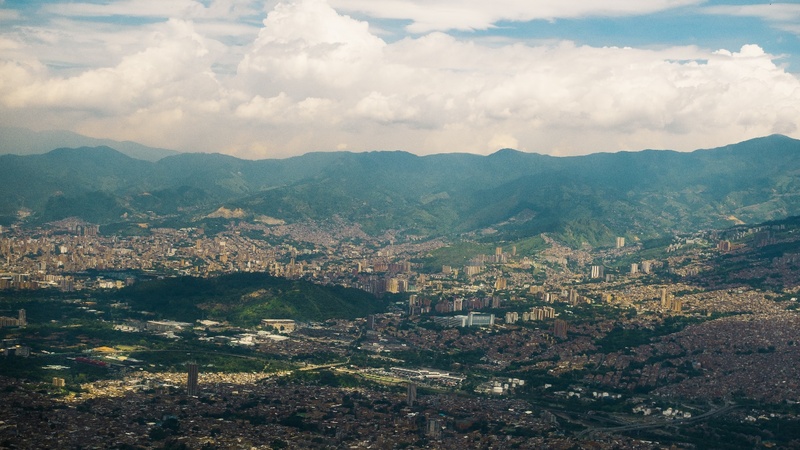 If somehow stuck with weekends, however, Medellin has lots to offer. The nightlife is great (I got to go out with the Colombian students which was a lot of fun). The graffiti tour I’d recommend. Taking the cable cars around the city was cool. There’s a walking tour of the city which was OK (you might as well do it, but don’t rush to tick it off). Paragliding was by far the highlight of Medellin for me. Super cheap (130,000pesos) and you get to soar in the winds on Medellin, with a panoramic view of the city. 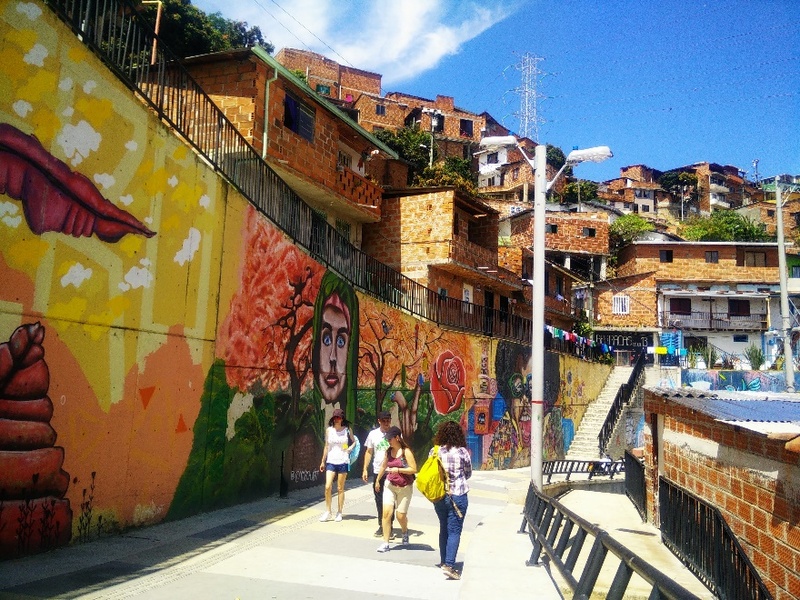 I feel tourists love to downplay the safety of Medellin, based on their own well worn, insulated paths through the city. 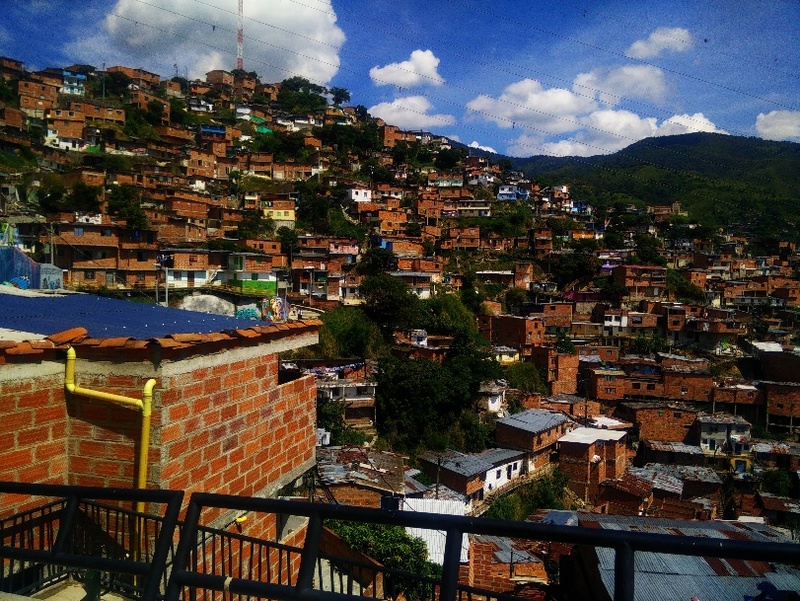 Medellin is still a city that can be dangerous in every zone, and there are places non-locals should never go. 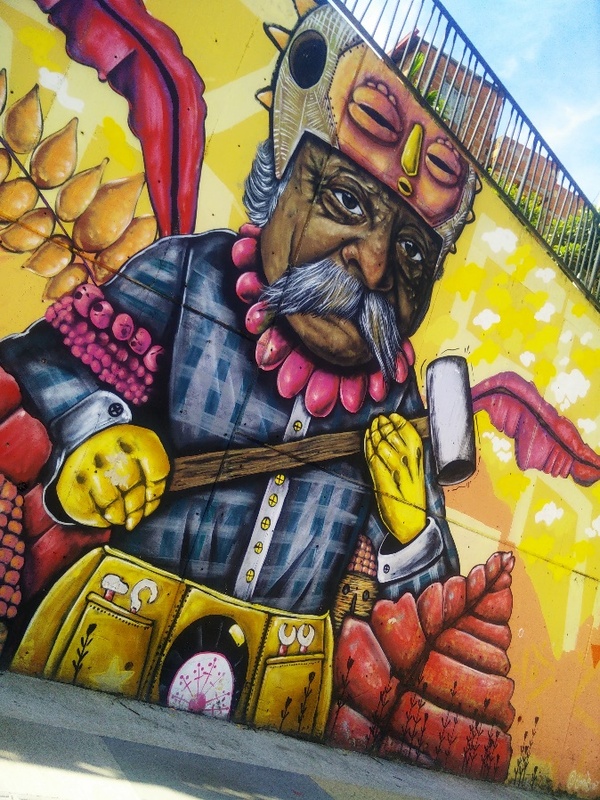 I’ve read often that if you ‘use common sense you’ll be fine.’ However, common sense in Medellin differs vastly from common sense in a European city. For example, you shouldn’t flaunt your wealth, or take out your phone in public, regardless of the time of day. No zones are safe to walk around in late at night, so take Uber where possible. Be very cautious of your drinks on nights out, and be very skeptical of anyone showing interest in you on a night out. All in all, I never experienced any problems or frightening experiences, and I would have no hesitations about returning or encouraging my friends to visit. It’s highly recommended though to read up on the do’s/don’ts, the common pitfalls, and dangers, and to have backup plans if an unfortunate situation arises. There were no hospital/university costs for the elective, and I got a free lunch every day, so technically I was making money! My accommodation was €165 for a month. Food per day was maybe €15, including breakfast, the free lunch at the hospital and a nice meal in a restaurant that night. 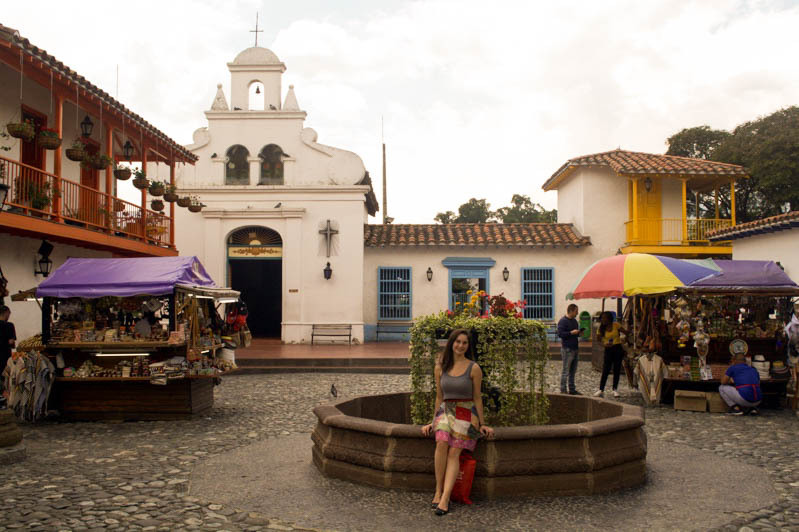 For food, transport, and accommodation, Colombia is cheap. However, any ‘western’ goods (electronics, clothes, food brands) will be far more expensive than in Europe. I would highly recommend doing a traumatology rotation at CES Universidad. The practical experience amongst such warm and friendly people has been so memorable. I thoroughly enjoyed my time both at the hospital and around Medellin. Post by Fuensanta Guerrero del Cueto, Student Ambassador at Universidad Nacional Autónoma de México (UNAM) guest speaker at the Manipal Teaching Hospital in Pokhara, Nepal. I believe in the importance of understanding and embracing diversity as a fundamental part of the medical profession. When I was elected to be a Student Ambassador at UNAM, my main aim was to share my love for medicine, education and cultural exchange with fellow students who would later become my colleagues. If we can see ourselves in our patients, their families, other students, and doctors, no matter how different they may seem at the beginning, empathy will drive us to provide the best care that we can. An international experience is a great element to encourage it, and this is what I tried to transmit at the Leadership in Medicine lecture on 17 November 2016 during CICOM. I was invited as a guest speaker to share my GEMx exchange experience at Manipal Teaching Hospital in Pokhara, Nepal in 2015. I was very excited until I knew that it would take place at the main auditorium of my school, which has room for 965 people, in front of all the UNAM and visiting students that were present at the contest. This certainly posed a challenge, since as a teaching assistant I had only given lectures to 40 or 50 students maximum. I felt that this great audience deserved to hear not only my story, but those of all UNAM students who had gone to Nepal before me, so I decided to compile pictures and quotes to show them why this elective had changed all our lives. I told them that I had chosen Nepal because there was no place further away from Mexico that I could have traveled to (it is almost our geographical antipode). However, this turned out to be even more challenging because I arrived right after the 2015 earthquake and during a fuel crisis period. What shocked me at first was the difficulty to communicate with patients whose language I did not speak or understand. However, language barriers encouraged my reflection, since they are always present, not only with Nepali but even with Mexican indigenous languages or when caring for people without formal education. 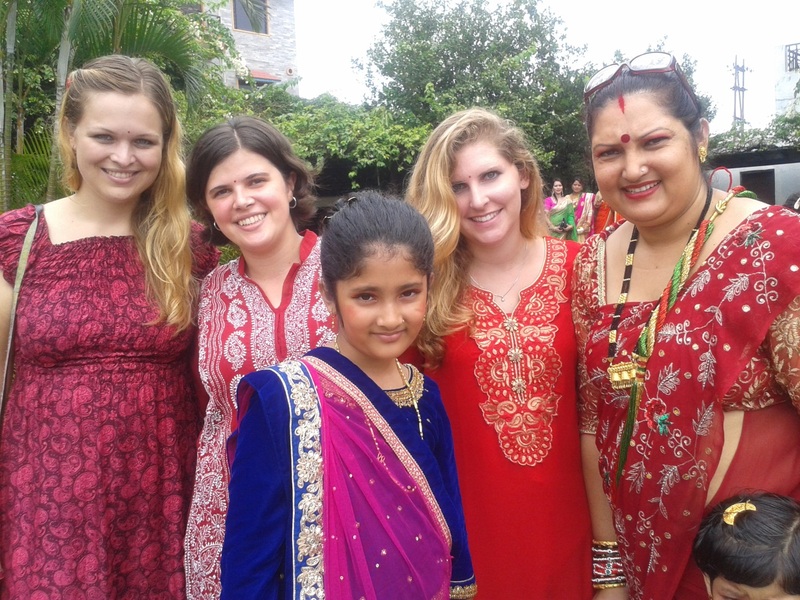 Additionally, the importance of traditions and family structure is shared between my country and Nepal, and this is something that must not be overlooked by the medical professionals. Lastly, the strength of our people to “do more with less,” overcoming hardships and getting the best out of what they have is one of the most admirable qualities that we share with Nepal. 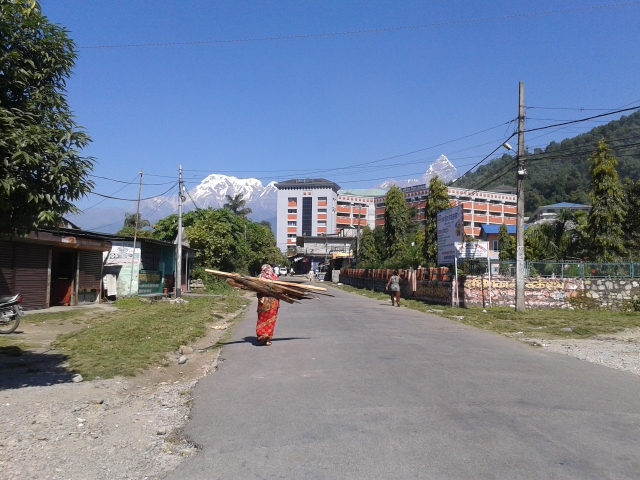 Community Medicine elective allowed me to approach marginalized populations in Tibetan refugee camps or in the mountains, where medical attention is difficult to access. 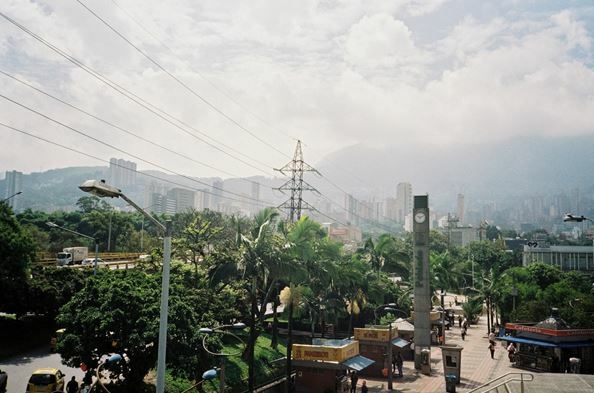 The similarities between this country and my own were very meaningful for me. I became more aware of social and environmental determinants of health, and how patient education and empowerment are fundamental in these settings. This supported my decision to choose Global health and One health pathways for my medical career. The opportunity to tell my story and try to inspire others was one of the best experiences as a member of the Student Ambassador Network, which I tried to continue during my outreach activities. I believe that medical students who dare to go out of their comfort zone will discover that “the others” are very similar to themselves. We need to become less isolated from one another in an increasingly globalized world where developmental and health challenges transcend national boundaries. 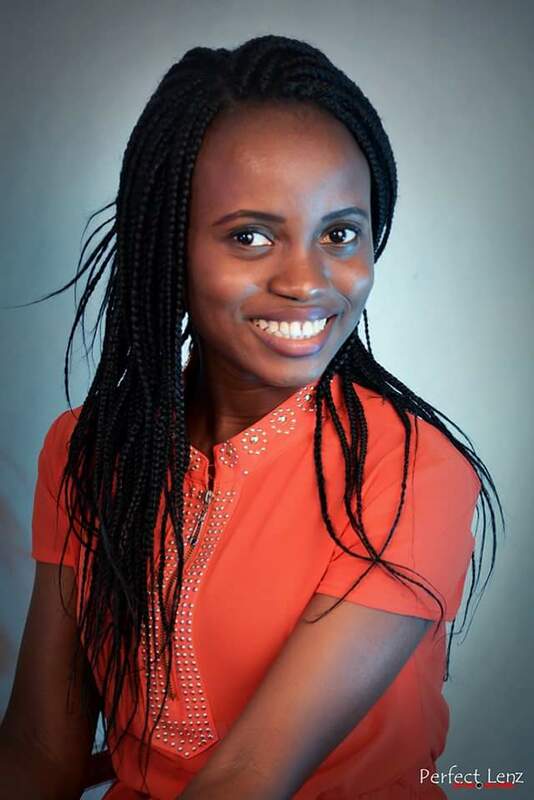 Post by Aarinola Blessing an outgoing 2 year termed SAN from Obafemi Awolowo University College of Health Sciences participating in CICoM (International Medical Knowledge Contest). On 10th Nov. 2016, I embarked on an amazing and rewarding journey to Mexico City alongside five other undergraduates of my University and the Dean of my Faculty( our GEMx Manager). The trip took a whole week. We had earlier been invited to participate in the 3rd International Context of Medical Knowledge(CICoM 2016) organized by Facultad de Medicina of the Universidad Nacional Autónoma de Mexico that had representatives from over thirty Universities all over the world in attendance. Countries represented included Netherlands, Colombia, Chile, Nigeria, and Mexico, meaning we were the only African nation invited for this competition. This blog post will address different aspects of my trip to Mexico. We were cheerfully received at the Benito Juarez Airport by Angelica Lopez who drove us to Brenda’s house. Brenda(the Co-ordinator) and her sister were so excited to meet us and made our first night in Mexico memorable. 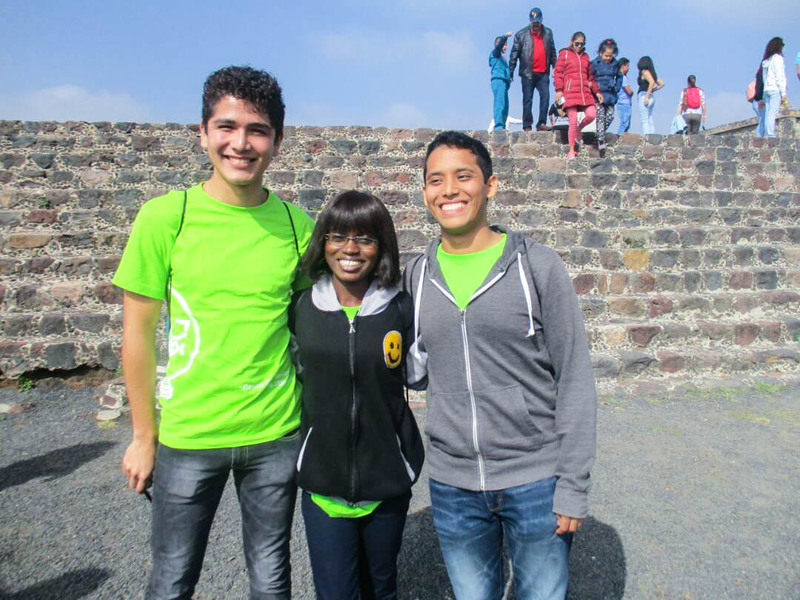 We met Pablo Perea the next day who happened to be our tour guide and also a GEMx Student Ambassador. Pablo was a very friendly, interesting and versatile person. He obviously knew a lot about the history of his Country, an attribute of his I particularly found worthy of emulation and which no doubt greatly facilitated his role as a student Ambassador. We felt so much at home being in the company of homely people. Mexicans say” Mi casa es su casa meaning “my home is your home”. The language, of course, was intriguing to me. I taught Pablo a little of my native language, Yoruba like ”Padi mi” meaning “my guy” which he calls me anytime we chat and he also taught me some Spanish of course like “Hola”,”Buenos” and “Bien”. The rest were written on my notepad for reference in case I needed to speak Spanish during the trip. I indeed struggled with the food in Mexico being considerably new to my taste and suffice to say that Mexicans are proud of their famous tacos and can talk you into eating different servings of it with them while they also constantly keep asking what you think about it. I did try some dishes like the Mexican rice, chicken, and chips because they weren’t entirely new as other dishes in their cuisines. 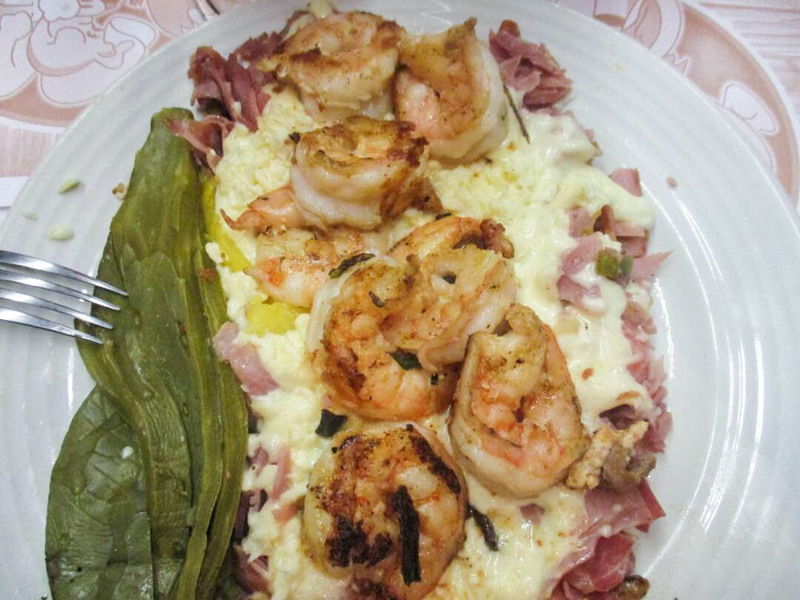 We would joke with them that they had cheese in every food like eating cheese in cheese. The worth of commendation is that the Mexico flag was almost everywhere we went to. The first two days were set aside for cultural exchange during which we visited the Teotihuacan, the Palace of Medicine, Palace of Arts, the Downtown and the Latin American Tower. We were grouped into different groups which also afforded us the opportunity to interact with other students during the tour with Pablo as the tour guide of my group. On the 3rd day, Justin Seeling and Anna Iacone were around to talk about GEMx and I was opportune to meet them. Pablo and Fuen also made their wonderful presentations that same day. The competition was no doubt eye-opening for me, the other students from my University and our Dean. Even though our aim to win wasn’t fulfilled but we were fulfilled having attended because we planned to win the contest. We were exposed to what investigations some countries consider as the first line and different guidelines employed in treating patients. I found the interaction and brainstorming in the same room with students from different countries fun. While interacting with Benjamin from Chile, I got to know that Chagas disease which I had only read in textbooks without a full grasp of it was endemic in his Country. He took time to expatiate the details of the disease. I also lectured him on Malaria and its complications which is no doubt the most endemic illness in Nigeria and most of the remaining countries in the tropics. Also, we participated in different workshops during our stay. I participated in the basic surgical workshop where I was taught basic surgical skills, the use of which I employed during my first basic surgical skills class when I was back in Nigeria and of course I was faster than some of my colleagues because I had done it before. 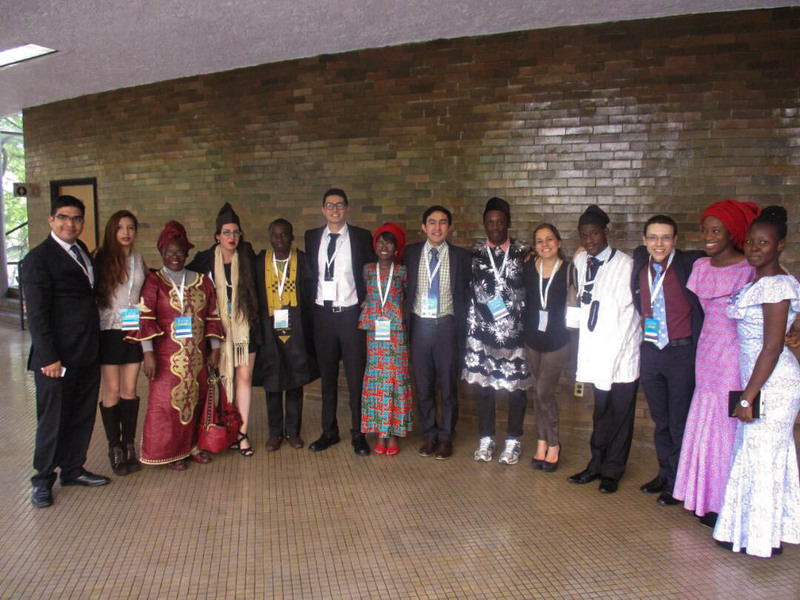 On the last day of the competition, we were dressed in our native attires. Everyone was so excited to see us in our outfits, that we almost got tired of taking pictures at some point. We also had souvenirs from other countries like the Dutch candies from the Netherlands and the Colombia coffee. We were also taken on a tour around the University where there was a story to tell about how each building was built. The party held after the event was of course fun during which I learned to do the Salsa dance. It was largely an exciting outing that leaves so much to be remembered about. Everyone in their cultural attire. My group in the company of guys from the Netherlands with Pablo as our guide visited the National History Museum, Chapultepec on our departure day. We finally took off from Mexico to start our 23-hour long trip back to Nigeria on the 19th Nov 2016. Attending CICoM 2016 was a major milestone for me in different areas of life with so many lessons gleaned from it. For instance, in terms of the exposure, knowledge of medicine, life, relationship with people, getting things done even when they look challenging and sharpening my leadership and communication skills. I will always treasure every moment and every friendship made. Thank you for the opportunity to share my experience! 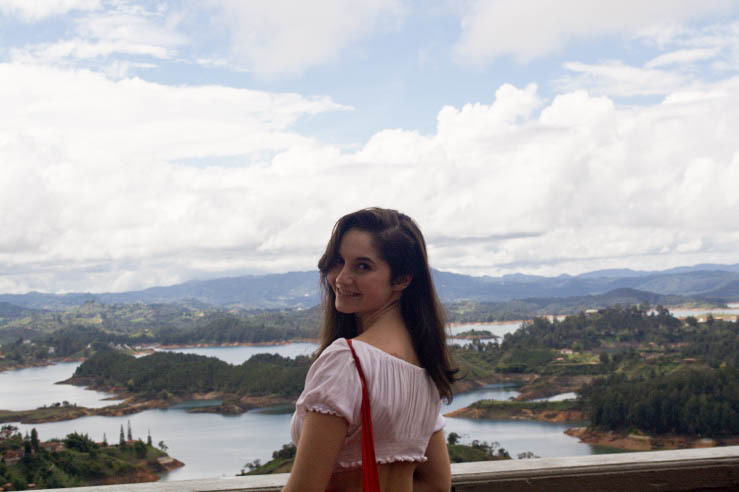 Post by Josefa Santa Maria, a student ambassador from Pontificia Universidad Católica de Chile Escuela de Medicina who has completed an exchange at Universidad Pontificia Bolivariana Facultad de Medicina. 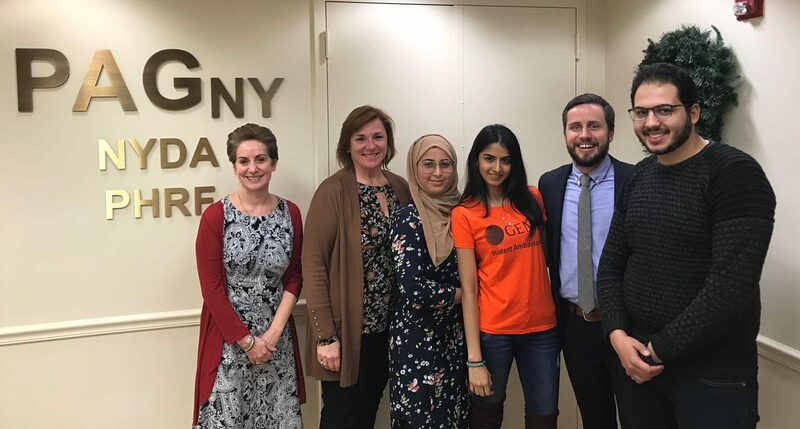 During the period that I worked as an ambassador for GEMx, I had the opportunity to participate in many activities, from virtual meetings to lunch with the dean of the faculty. 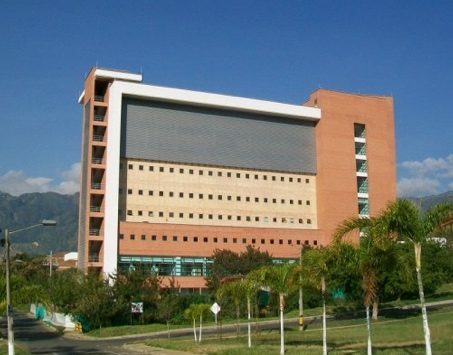 However, probably the one that I will remember the most will be my Emergency Medicine elective in Medellin, Colombia. 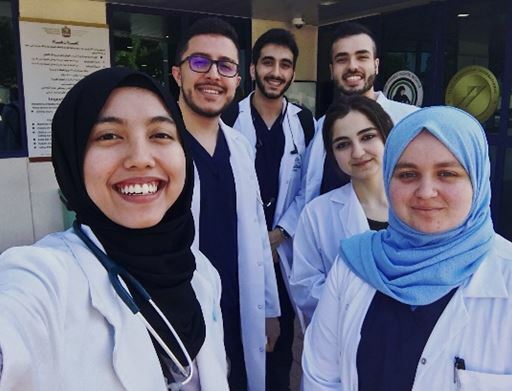 One of the reasons why I applied to be an Ambassador for GEMx, is that I consider the values in medical education as something that transcends the geographical barrier, and the exercise of this in other countries (even in another city) is an enriching experience both academically and humanly speaking. My personal experience doing the elective of Emergency Medicine at the Pontificia Bolivarian University in Medellin, Colombia, is something that I will definitely turn into one of my most precious memory. It was a great challenge (and I have to admit that I was even a little scared) to leave my comfort zone and to do part of my internship in a foreign country: everything was different: the schedule, the food, the academic requirement, the way of teaching, the responsibilities with patients, the shifts, and even though the language was Spanish all the same there were local words and expressions that took me a long time to understand, but none of that was an obstacle to get to the hospital every day with a big smile and my maximum enthusiasm to learn. 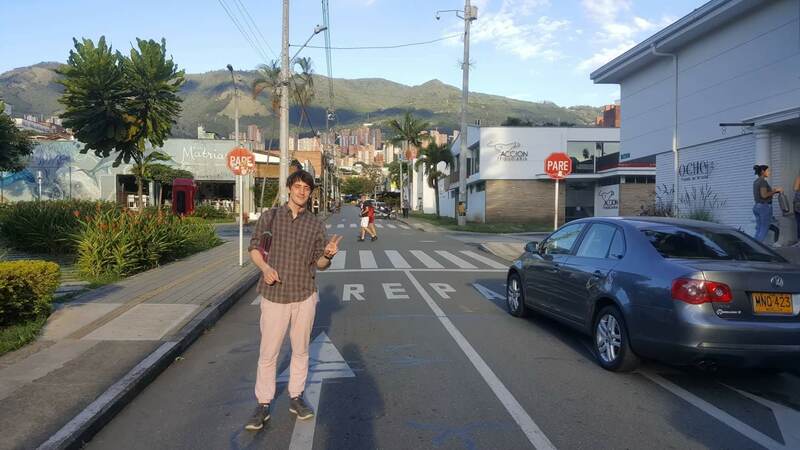 One of the things that I liked the most was the warm reception I received from my intern colleagues, the doctors and especially the patients, who always asked me where I came from, and how did I feel living in Colombia, on many occasions I had very interesting conversations with them. They were always very happy and grateful for the attention I gave them, that was something that definitely left my heart full. In addition to having theoretical seminars every day and all the learning I got from each clinical case in the emergency service, my elective in Colombia allowed me to experience the diversity of the gastronomic culture of the area, to do tours around the city, in which I learned from the history and tradition of the neighborhoods of Medellin, and visit the nearby towns, where I could enjoy wonderful landscapes. All in all, the 4 weeks I spent in Colombia helped me grow in different dimensions, both personally and academically. They helped me to be more independent, to improve my ability to adapt, to relate to different types of patients, and last but not least, to learn more about the beautiful art that is Medicine. 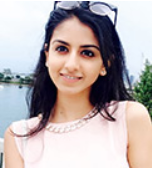 Post by Rhea Anna Kurian, GEMx Student Ambassador for Malankara Orthodox Syrian Church Medical College. 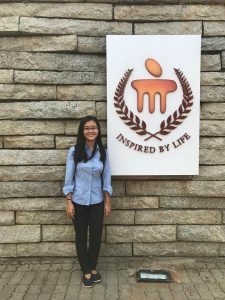 Her two-year term as student ambassador officially ends on July 20, 2018. Hello my fellow SAN members! 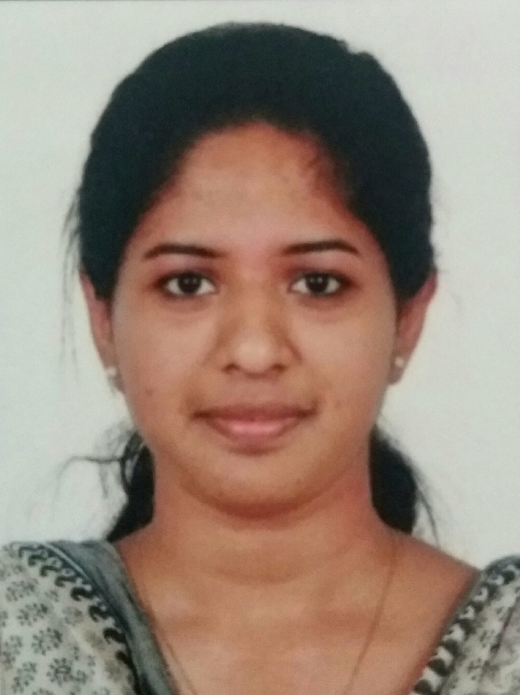 This is Dr. Rhea Anna Kurian, from MOSC Medical College, Kolenchery, Kerala, India and a proud member of the GEMx SAN. For a medical student like me who belongs to a medical school in a rural area of India, the opportunities that GEMx had provided were probably the best I could get as an undergraduate. Of all that GEMx has offered me as an ambassador, my student elective in Israel is the most important and memorable one. I was blessed to have had a chance to spend one month (November- December) in the Internal Medicine department of Soroka Medical Centre, Beersheva, Israel under Ben Gurion University of the Negev. 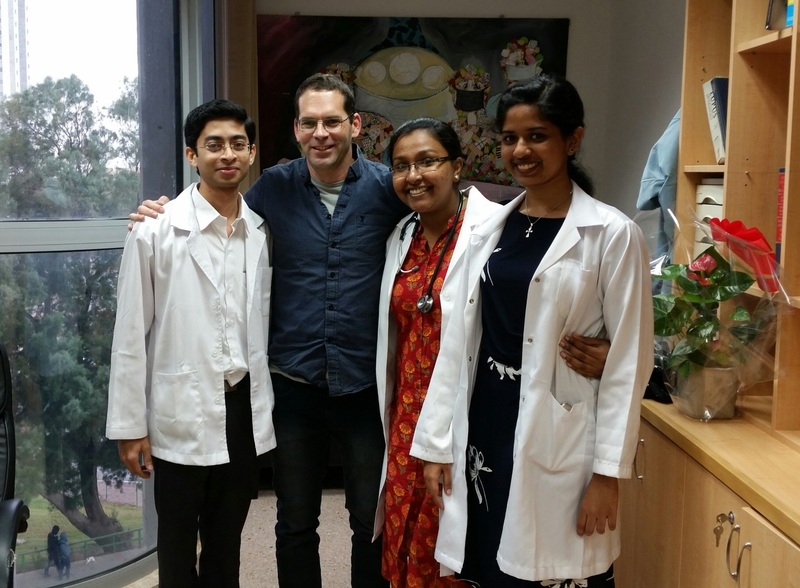 All three of us who did the elective together were guided well by the Gemx officials and the Gemx representatives at Ben Gurion and of course by our Gemx coordinator, Dr.Anna Mathew. We were allocated the best unit of internal medicine at Soroka, Pnimit Gimmel. Dr. Lior Zeller, the Head of the department, other doctors, residents, interns, students and the nursing staff were very helpful. Although we could not understand the language (Hebrew and Arabic), everyone in the department made sure that they translate it to us and make us understand, through all the ward rounds, meetings, and lectures. 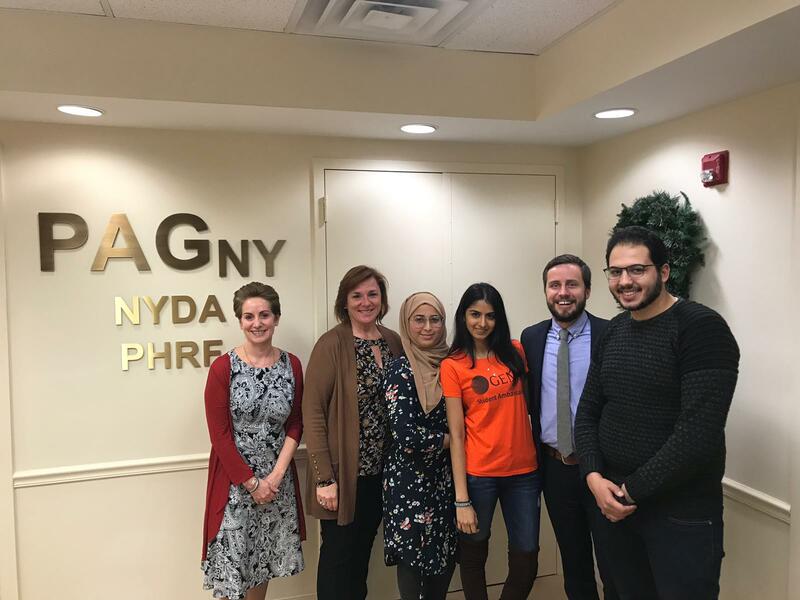 It was also a great opportunity for us to know about the patient population, health conditions and medical practices in Israel and to understand how different it is from our country. The computerized documentation at the hospital was very new to us as we still use papers for documentation in our home country. 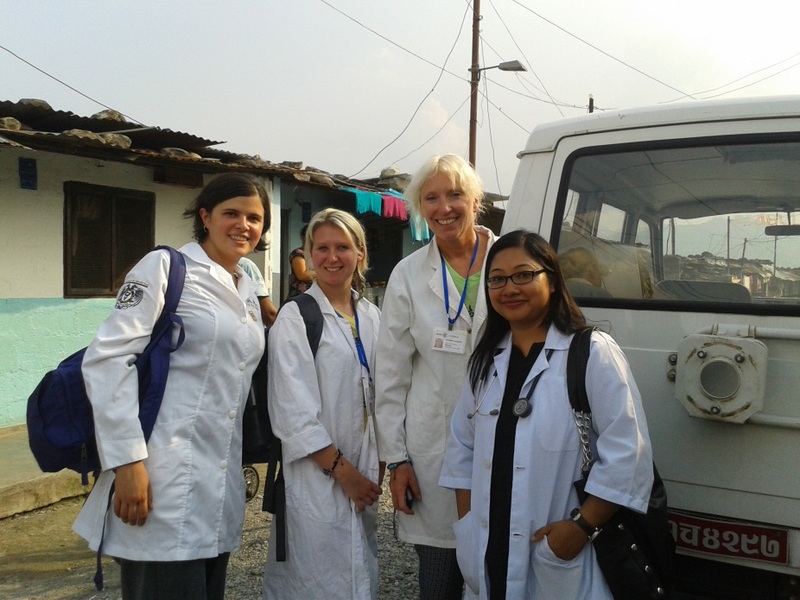 We got to observe many procedures done in the ward. We also attended the rheumatology OPD of Dr. Lior which was conducted once a week. 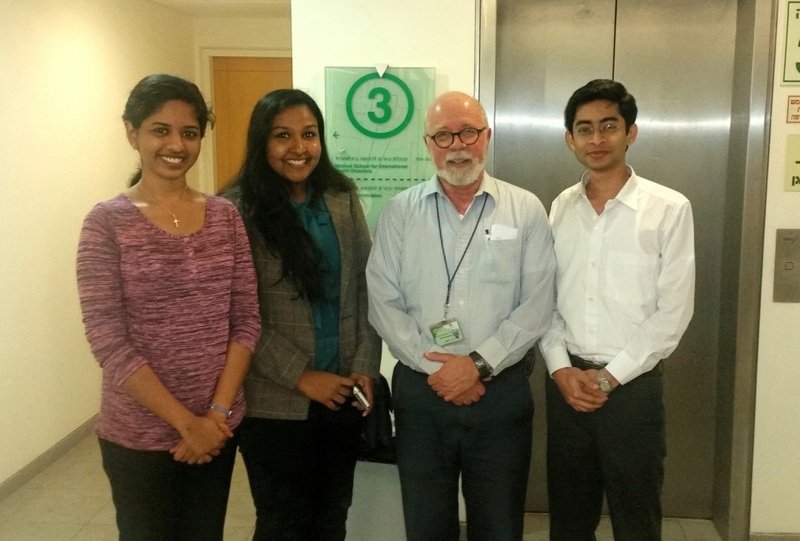 We were lucky to meet Dr. Mark Clarfield, (Director of Medical School for International Health at Ben-Gurion and a member of the GEMx advisory committee) and to spend an evening with him. Of course, student exchange programs are not just about spending time in the hospital premises. It is also about exploring the country you are in. 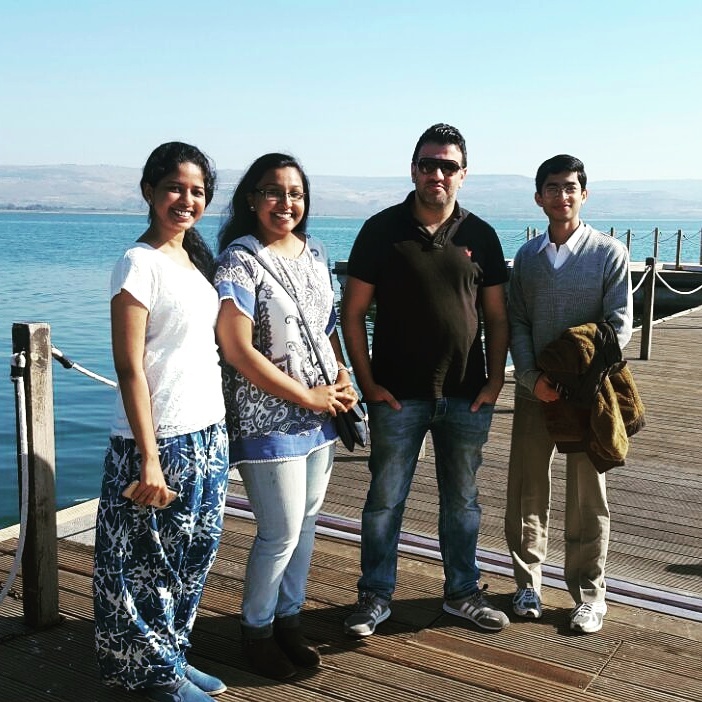 We had the opportunity to visit a few places in Israel, like the Old City of Jerusalem, The Dead Sea, Haifa etc. As a whole, those 30 days in Israel gave me the best memories I would cherish forever. It definitely gave us a peek into what global medicine is about and that is something a medical student would definitely benefit from. If you get an opportunity to take up an elective, never ever lose it. It is definitely worth a try! Post by Syafaf Humaira Binti Aman, global exchange student from Penang Medical College (Malaysia) who recently completed a GEMx Exchange at University of Sharjah in United Arab Emirates. 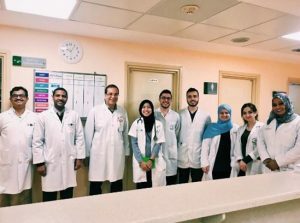 Who knew, a split-second decision of applying for GEMx Electives, and travelling alone to a country which was 5000km away from home would bring such an impact to my life – especially my medical student life. My name is Syafaf Humaira Aman and I am currently a final year medical student from Penang Medical College, Malaysia. I’ve always known by my friends as a person who would leap into any great opportunities that comes and this was definitely one of those opportunities that I had decided to venture upon. Despite of that statement making me sound all very brave and courageous, there was still a hint of nervousness and anxiety when I got on the plane, heading to the UAE for my electives. 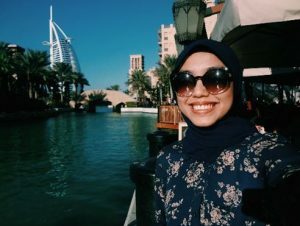 This was the first time I solo-travelled, my first time going to a country that I am very unfamiliar with, and also my first time being a part of a new student community – alone. All the worries and anxiousness slowly started to dissipate away when I was greeted by Fuad, the student ambassador from University of Sharjah (UoS) and his friend Dalia at the airport. Starting from the first meet up, up until the very last day of my stay in UoS, they had definitely helped me a lot – from helping me to settle down in my new dorm, helping the administrative officer to arrange my hospital posting, and introducing me to most of their friends so that I wouldn’t feel very lonely throughout my stay. I truly owe them a lot, as it was so much easier for me to blend in and get used to the new campus life with their help. One thing I’ve learnt a lot from this experience is actually travelling alone isn’t as bad as I thought it would. 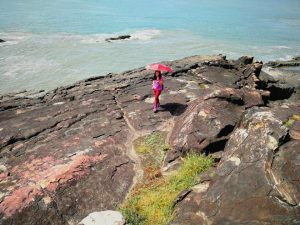 It used to be a scary thought back then, but after this elective programme, I’ve came to learn that more opportunities tend to open up when you travel alone. When you’re all alone, you’ll be forced to get out of your comfort zone, and you’ll be ‘pushed’ to make a whole bunch of new friends. Without you even realizing, you’ll find yourself meeting new people, making connections with people that you’ve never intended to meet, and getting inspired by their life stories. This includes meeting a fellow Malaysian occupational therapist who had been working in the UAE for the past 8 years. It was amazing to get to hear her life experiences over there. As for my clinical posting, I was being posted to Al-Baraha Hospital in Dubai under the Surgical Department. Truth to be told, it was definitely one of the best clinical experience I’ve ever went through my whole life as a medical student! The surgical team consisted of this set of surgeons of different nationalities, with years of experiences working at different regions of the world before. One thing I am truly awed was to see how dedicated these surgeons were, in both healing the patients and teaching the students. Despite their tight schedule during the OT days, they would still make time to teach us in the operation theatre, as well as in between the surgeries. Sometimes they would let us hang around at the surgeons’ lounge and they would share their experiences with us students too. 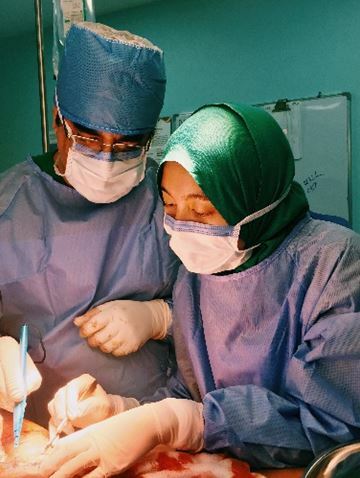 During this posting too, I was fortunate enough to be given multiple chances to assist in several surgeries, guided by these aspiring surgeons. Even though the tasks that was given were pretty minor, but it was already more than I bargained for, and come to think of it, it was a fair start for me as a medical student. It was definitely a great exposure for me, one that I would never experience back home. I couldn’t help but to be thankful for these surgeons had never failed to make me feel as part as their team. 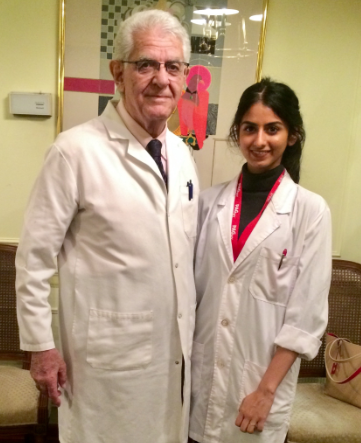 At times, they would even introduce us students to the patients as the ‘training surgeons’ who had made them (the patients) feel better, and it was definitely one of the best feeling to hear the patients thanking you profusely for treating them. All in all, it was never a day that I wasn’t looking forward to step into the hospital as I knew I would be greeted by them with smiles and the day would then be occupied with bed side teachings, teachings at the outpatient department and multiple case discussions with the whole surgical team. My groupmates in Al-Baraha Hospital were truly amazing too. They were all very friendly and my four weeks at the hospital would have never been the same without them. In between the bedside teachings, or after we’ve all clerked patients, we would then be discussing the cases together, sometimes recalling what the surgeons have taught us by the end of each day. Sometimes these so called ‘hangout’ sessions would be filled with us sharing stories about each other’s families, travel stories, and favourite past times. One thing I find interesting in the UAE is that, all of the students there mostly originates from somewhere else outside of the UAE. Some of my groupmates for instance, were originally from Syria, Palestine, Turkey, Egypt and many more. 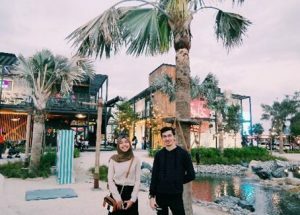 Although they have stayed in the UAE for most of their live, they would still go back there once in a while and they would then share their stories and how their culture are back home. Not just that, they would also be the ones to prepare a long list for me consisting of interesting places I need to visit, and food that I need to try throughout my stay. On the weekends, I would then take the opportunity to travel around Dubai, and explore the city as much as possible. The famous Burj Khalifa, Burj Al-Arab, the souqs and the beaches in Dubai were all truly breath-taking. I had even managed to make my way to Abu Dhabi on one of the long weekends during my stay in the UAE. Although it was pretty taxing to travel from UoS to Dubai, it was always be worth it. Taxing, because the transportations were pretty expensive, especially when you’re travelling alone, so sometimes I would need to opt for multiple forms of transportations in order to get to the places that I wanted to go. However, it definitely taught me the value of perseverance, independence and the importance of planning ahead of time. All in all, not only I had gain ample amount of new knowledge within the medical field, but I had also obtained countless life lessons throughout this elective. It was a whole new level of experience which had definitely built my confidence and I hope that I could emulate all of these invaluable lessons throughout my life as a person, and a medical doctor in the future. I would like to extend my gratitude to GEMx for this once in a lifetime experience, and for encouraging me to step away from my comfort zone, and experience all of this. Not to forget Dr Nabil Sulaiman and Dr Osama Seif for being my supervisors over at University of Sharjah and Hospital Al-Baraha. 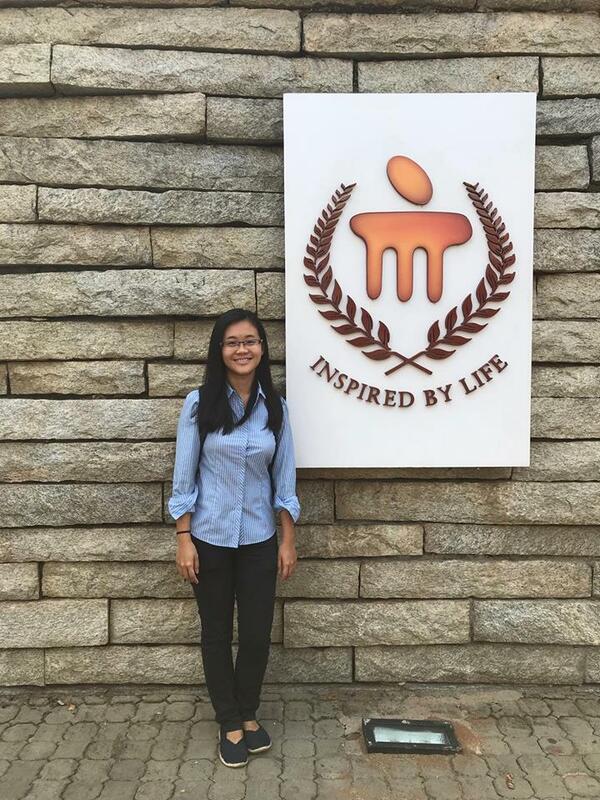 Post by Yik Chin Low, GEMx global exchange student (and GEMx student ambassador!) 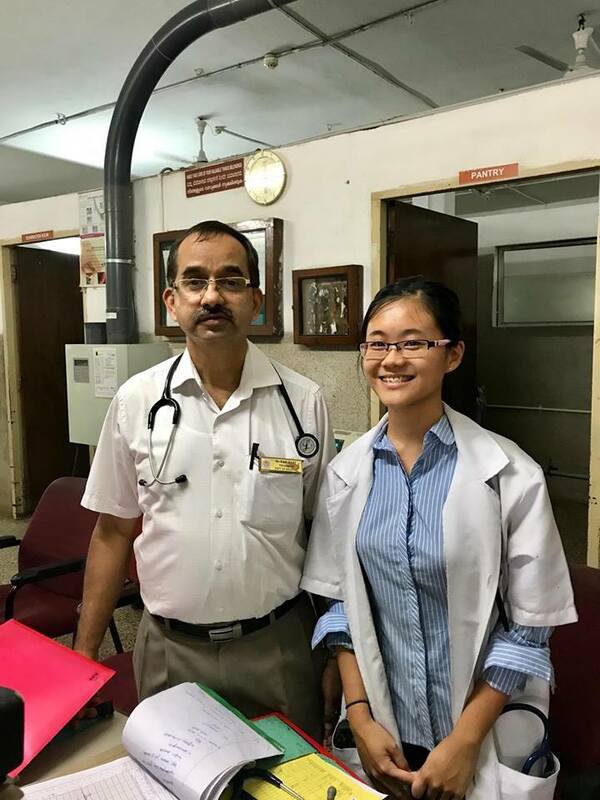 from Penang Medical College (Malaysia) who recently completed her GEMx Exchange at Kasturba Medical College – Manipal in India. I always want an opportunity to learn medical in India as I have lot of friends sharing their experience there with me and I found it could be challenging to me. Thus, I applied to do my elective in Kasturba Medical College in India under Gemx as it is well known as top 10 medical school in India over years. When I first arrived, I met a lot of Malaysian as well. 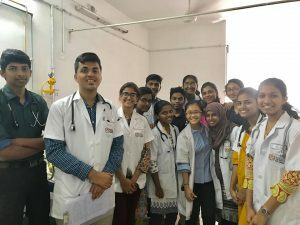 They were curious on my choice to do my elective here rather than other developed countries but I believe that India as an underdeveloped country is the place where you can experience different healthcare system that could not be obtained in the home medical school and it’s teaching hospital. Thus, I want to use this opportunity to attain experience in the management of uncommon diseases. I am honored to be guided by Professor Rama Bhat. He taught me a lot during the ward rounds as well as in the clinic session. However, language is always a barrier to me and I am lucky enough to have the final year students who are willing to translate for me. I realize how common TB case in India and it becomes a taboo for them to even mention it and they called it Koch’ disease instead, same goes to leprosy and they only mention Hansen disease. I have seen so many different cases that I never see in Malaysia and most of the patients presented to the hospital only when the symptoms get severe. I remember how surprise I was to see a really bad case of Rhematoid Arthritis with severe deformities of both upper and lower limb and the chik’s sign on Chikukunya patient that I never even heard of the name. Through the ward rounds, I was able to join the discussion on different cases presented . The students here are genuinely smart and taught me a lot as well. They are so friendly that they always helped to translate the language when I have difficulty understand the patients. Most of the patient here are of low socioeconomic and some of them don’t even have money to pay for the big sum of medical expenses. It is heartbreaking to see the family members lying all around the floor besides the bed while taking care of their family. I also learn how important of the ethical and professionalism and come to realize how patients are reliable on the doctors’ judgement that they put their life on your hand. The culture in India is another thing that Iearn. For instance, there is no secret in neighbourhood in India, and news spread real fast. Also, when any car accidents happen, there will always be a big crowds on either side of the party even though none of them are related to the accident or the person involved. However, the good thing is whenever things happen, there are always someone there to lend you a hand. I first came here with fear of hygience of the food here but after a week I fell in love with different types of Indian food here. Furthermore, the visit to the museum of anatomy in KMC had indeed open my eyes and I can never find any more awesome museum that this one. It is really astonishing to actually witness with your eyes how the tumour cell can invade the body cell and the changes seen on the organ itself with your own eyes. 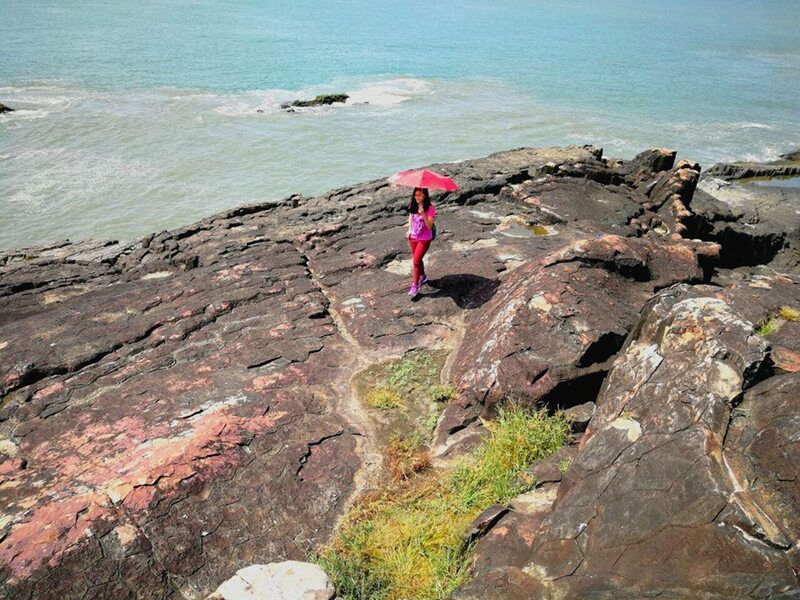 I also get an opportunity to travel around Mangalore. The beach in St Mary Island is breathtaking and I like how spontaneous the people here. They literally just dance on the boat while the music is on. It is pretty amusing. I learn to self- improve on my inadequacy and work hard on my dream to be a great doctor because in the end, what you learn today might save a patient life another day. Thanks so much to GEMx, I have this wonderful experience and It definitely going to help me a lot in my future. I have seen the medical care system in Ireland, Malaysia and India and it definitely give me a better understanding and I learn to appreciate what we have and know what to improve on. 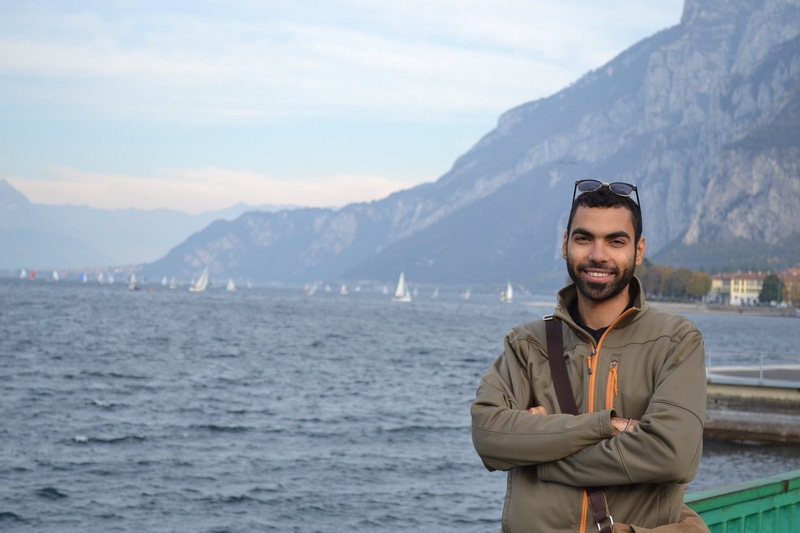 Check out this essay on language and medicine by one of our student ambassadors who recently finished his GEMx elective exchange at University of Pavia, Faculty of Medicine and Surgery. 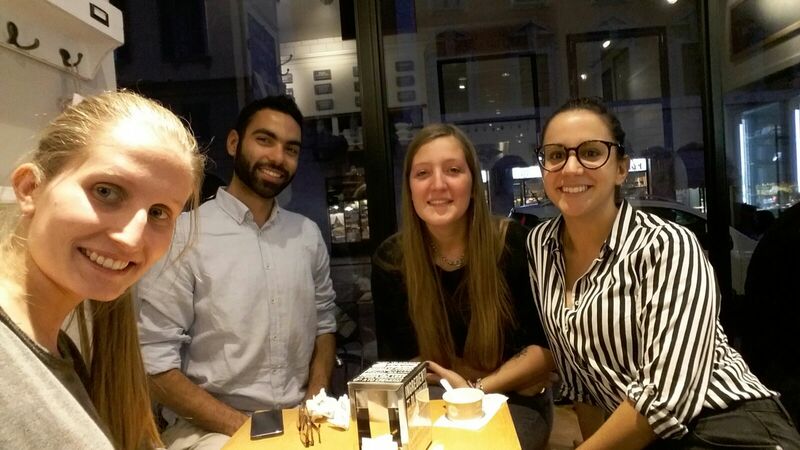 He was helped with his italiano under the guidance from fellow GEMx student ambassador, Cristiana Riboni while in Pavia. Realizing that this is not going to be as easy as I thought was one thing I knew the moment I stepped on Italian soil. 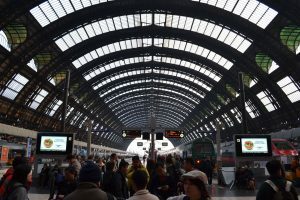 I arrived at Milano Centrale in Italy, the city’s main transit hub, trying to figure out the best way to get to my destination, Pavia, a smaller city 50 kilometers south of Milan. 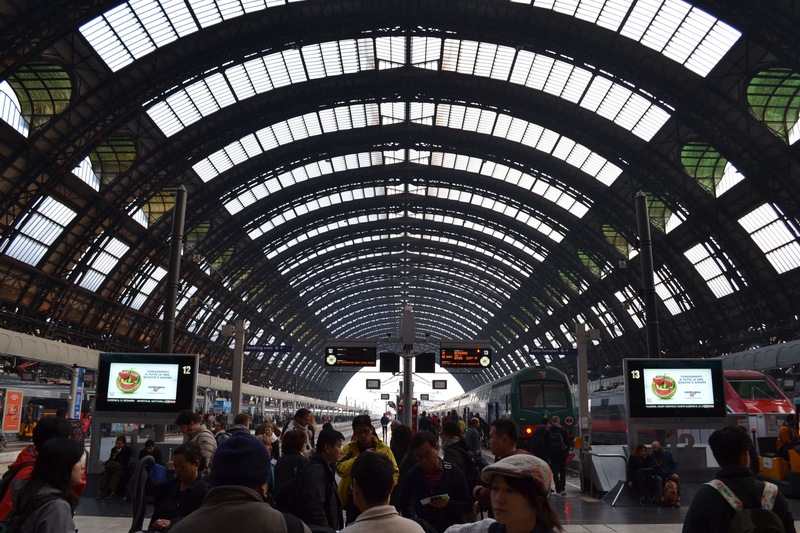 Usually it takes about 20-30 minutes by train to get to Pavia’s main station, but it took me 2 hours, after getting off at the wrong station and having to come back again to Milan and switch trains a couple of times. Clearly, I didn’t do so well communicating or trying to follow instructions. A couple of days later, I woke up early and found my way to Maugeri Fondazione’s hospital on the edge of Pavia. I walked around the hospital’s corridors trying to find the nephrology ward until I was directed to the doctors’ room. It felt like a regular first day at the hospital of a medical student’s life. Just the usual feelings of uncertainty and being lost. Doctors and nurses spoke enough English for me to follow what was going on, but I realized the day isn’t that typical once we started rounding and talking to patients. Before my time in Pavia, I never had issues communicating with patients as I’d either speak their language, or I had access to instant interpretation services over the phone through the hospitals where I rotated, which made obtaining history, performing physical exam maneuvers, and explaining the diagnosis and treatment plan to patients less complicated. 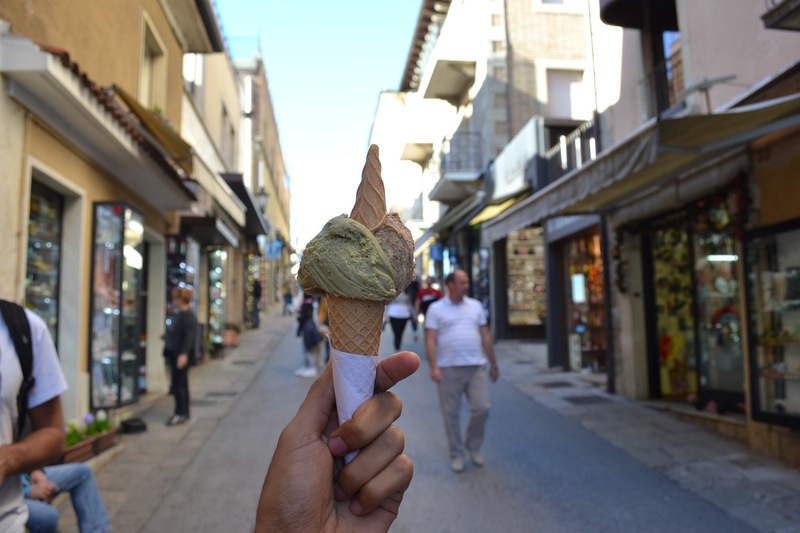 However, my rotation in Italy made me realize how challenging it could be to provide quality and safe health care services to patients when you do not speak their language. 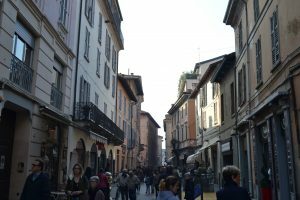 My abroad exchange experience in Pavia has helped me gain a different perspective on what works well and what does not when practicing medicine if you don’t speak the same language as your patients. I remember spending a lot of time discussing the importance of communication in healthcare during my Medicine, Patients, and Society course; whether its communication among physicians and healthcare workers or between healthcare workers and patients and their family members. While I was doing an inpatient rotation, where all patients were already triaged and transferred to our service in a relatively stable condition from the emergency room. I thought about how the process of seeing a patient in the emergency room might be different. Take a patient who walks in pointing at his/her chest and is in discomfort, but does not speak the same language as you, the healthcare provider. Without language coherence, is it left sided or right sided pain? When did it start and what’s the character of their pain? Are there any associated symptoms? These are all vital questions that direct the doctor’s time-sensitive management plan, thus, pose a significant challenge. It is often said that physical exams and diagnostic workups are of no use in the absence of a focused, accurate history. Medical school has provided us with ample opportunities to work with diverse populations and be culturally competent in theory, however, applying such skills isn’t always as easy as it might sound like. My Pavia experience has provided me with a few tips that could be of use in such situations. It is always useful it is to learn some key phrases and medical terms in a different language. It might not be feasible to learn a whole new language or be able to carry a conversation, but learning some basic terms to help you communicate with your patients to obtain history and perform a quick physical exam is optimal. Learning some phrases such as “take a deep breath”, “stop breathing”, “lie down”, and “look left or right” were all advantageous, and made performing a physical exam less challenging. Additionally, it is important to speak slowly and calmly, even when someone is interpreting. It is also important to be familiarized with some basic cultural beliefs and practices. In my case, knowing that it is inappropriate to greet people using “Ciao”, and needing to use “Bonjourno” and “Arrivederci” instead was vital. Additionally, the importance of body language and eye contact is one thing a provider should pay attention to, which are things I seldom paid attention to in the past and focused more on verbal communication as my main way of delivering information. Using hand gestures to supplement or replace words might be another way to get the conversation going. Using visual aids could be another way to deliver your message across. Keeping charts and pictures of the human body and the most commonly performed procedures is always useful, especially when treating children. These tips are definitely not the solution to eliminate any confusion or uncertainty that might arise, but keeping these in mind helps. My time in Pavia was definitely an eye opener and I started considering communication issues on a deeper level and how it affects the doctor-patient relationship. Medicine is all about making sure that patients are getting the best of care with no barriers, and language barriers should not be taken lightly.